As a marketing consultant, I appreciate an advertising campaign that reinforces a distinctive brand positioning and instills an emotional connection with consumers. Corona Extra is the #1 imported beer in the U.S. thanks, in large part, to its long-running Find Your Beach campaign. This campaign challenges consumers to explore inward to discover their own beach—not necessarily a physical place per se, but more a state-of-mind—or, better yet, a “state of being and living,” according to Corona’s EVP of Marketing. In today’s frenetic world, it is critical for us to carve out time to relax and enjoy life with the people we care deeply about. As I write this, I am sitting in one of my favorite spots in the world, gazing out at a picturesque, softly rippling lake in Southwestern Maine. It is the shank of the afternoon, the sun slowly fading in the sky, the icing on a perfect late summer day. I breathe deeply and savor the moment. Tomorrow is Labor Day— the psychological close to summer—and I am clinging to every last drop of summertime’s joyful spirit and peaceful mindset. 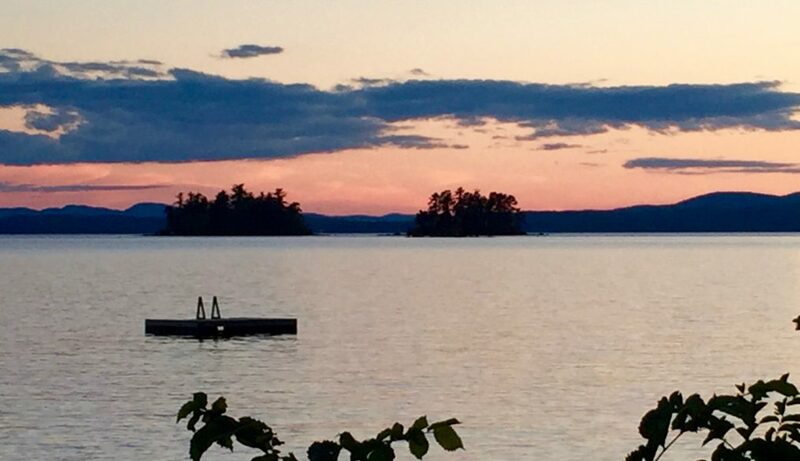 For 20 years, my family has vacationed in this idyllic site on Sebago Lake known as Migis Lodge. Our children were two and six months when we first ventured to Migis. This has always been that special place where I can truly be my best self. It is my beach. I breathe a little easier here. I enjoy living in the moment. My heart quickens a little each time the car approaches the entrance, especially if it’s been awhile since my last visit. It is difficult to describe the overwhelming feelings of contentment that envelope me as soon as I step onto the property or the profound sense of sadness I feel when it’s time to leave. …the weekly Friday night lobster bake with fresh, local steamers, lobsters and corn-on-the-cob, which takes place at a lakeside cookout area… the outdoor pancake breakfast each Sunday, complete with Maine blueberries and homemade maple syrup… the private island you can visit by canoe, kayak or motor boat for a special picnic… the large, traditional New England porch at the front of the lodge where guests gather to sip cocktails and unwind… a swim in the crystal clear, refreshing lake which cleanses body, mind and soul, making me feel more alive than anywhere else on earth. Migis Lodge represents the quintessence of balance— a unique atmosphere in which one can enjoy fun, active outdoor pursuits, while also relaxing in a peaceful, bucolic, stress-free environment. As the sun sinks into the sky and sets on this wonderful summer, I close my eyes, deeply inhale the familiar and comforting pine scent and feel the caress of the gentle lake breeze… realizing all the while that Migis is in my soul. I have found my beach. Soulfully written. It reminds me of my youth learning to waterski at lake walkenpalpack pa and as a young adult at Maranacook lake near Augusta Maine.